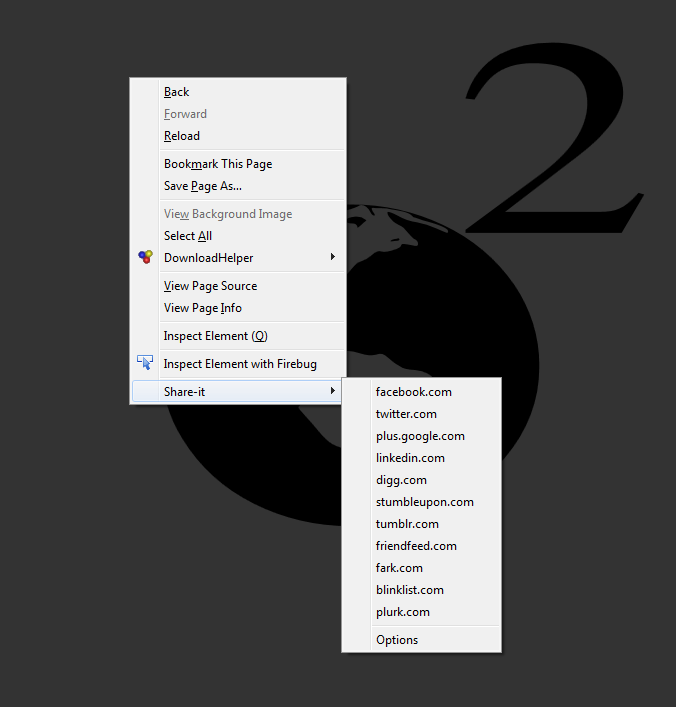 Share-it provides a context menu that allows the user to share the current page with a number of different websites that allow for link submissions. 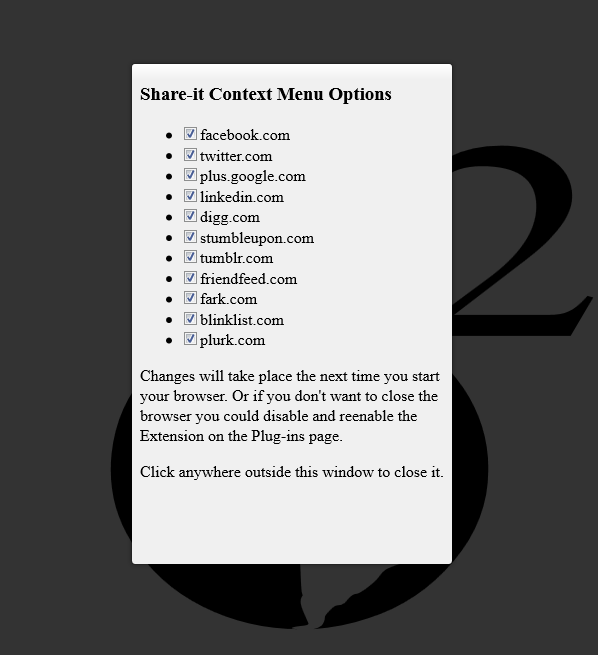 Share-it currently shares a web page on: facebook, twitter, google plus, linkedin, digg, stumbleupon, tumblr, friendfeed, fark, blinklist, and plurk. There is an options page that will allow the user to turn on or off the menu items they choose to use. Very simple and minimalistic design.